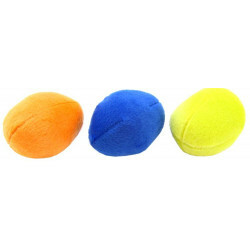 Be sure to browse all of our Plush Puppies pet products to make sure you find just the right soft, squeaky, bouncy or interactive toy for your favorite pooch. Pet Mountain is pleased to be a leading vendor of great Plush Puppies pet products. Pet Mountain is proud to offer you a wide selection of Plush Puppies pet products, at the very best prices available anywhere! Take a look at all of our huge selection of great deals! Can't find something you're looking for? Let us know! We'd love to help. Be sure to check out our online coupons and discount shipping on all your favorite products.